Tall Girl In Heels : Gem Crush anyone? Everyone seems to be in love with glitter nails these days. 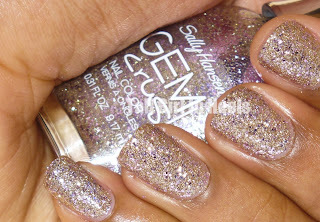 I'm no exception ;-) Sally Hansen has a glitter line called Gem Crush. These polishes are jammed packed with glitter and sparkle goodness. The glitter in Gem Crush is tiny glitter shimmers that makes your nails amazingly beautiful. 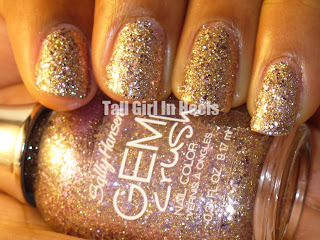 According to Sally Hansen, Gem Crush nail color is, "instant glam with finger-to-toe bling. This innovative full coverage glitter formula turns nails into jewelry that stays on wherever you go." a lot of attention to the nail. I love them. There are three that I'll discuss today: Razzle Dazzler, Big Money and Glitz Gal. Razzle Dazzler is a fun coppery-pink shimmer with accents of slightly bigger silver glitters throughout. This polish is very pretty and applied very well. It has that thick flat spatula brush that makes applying polish SUPER easy. I'm in love with those brushes. I felt that even though it looks great here with one coat two coats was better coverage and it looked a lot better. This is two coats and no flash. I tried to capture the true color of Razzle Dazzler.This is gorgeous!! Check out that Bling! I added The Sally Hansen Diamond Flash Fast Dry Top Coat. It added a better shine and it dried very fast!! After two coats of this top coat it actually allowed for a smooth finish instead of the chunky glitter finish. Next up is Big Money. When you hear Big Money you think of Green, right? Well no this isn't green. Big Money is more if a gold-purpley shimmer mix. It's pretty, but I was disappointed to see that Big Money didn't have the same brush as Razzle Dazzler. The brush on this one is just a regular skinny flimsy brush. This brush made it hard to get the polish of the nails flawlessly :-(. I was a bit upset with that. I also don't care for this color combination. It's pretty, but not for me. For some reason, golden polishes don't compliment my skin-tone. Finally, my fave Glitz Gal. Glitz Gal is a dark grey shimmer with silver holo glitters throughout. The silver glitters changes to a rainbow of colors depending how you're looking at the polish. It is gorgeous. I'm such a sucker for these types of polishes. Love, Love Love this polish. There is one more thing, Glitz Gal is just like Wet n Wild's ColorIcon Diamond In the Rough. What do you think of the Gem Crush polishes by Sally Hansen? Must have? Don't forget to share your opinions below. 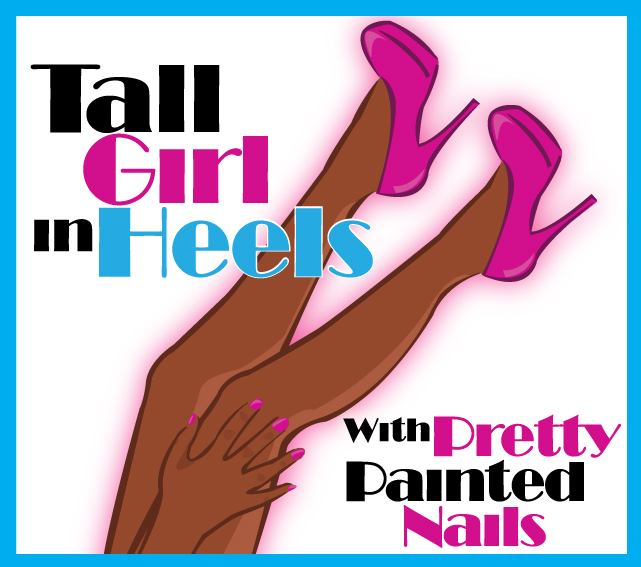 You can find Sally Hansen products on their website. You can like them on Facebook and follow on Twitter. These are gorgeous! Look at that sparkle! very pretty and I think Glitz Gal actually looks the best on you!